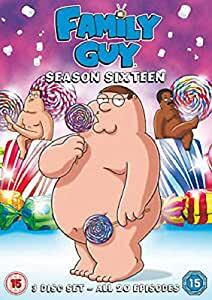 Amazon's Choice for "family guy season 16"
Entering its 16th Season, Family Guy continues to entertain its die-hard fan base with razor-sharp humour, spot-on parodies, spectacular animation and orchestra-backed original music. Guest Voices this season include Kyle Chandler, Neil Degrasse Tyson, Glenn Close, Ashton Kutcher, Frank Sinatra Jr., Kathryn Hahn, Margaret Cho, Ed O’Neill, and Jeff Garlin. Considering how long this show has been going and how much stuff Seth McFarlane is involved in other than Family Guy... This show goes form strength to strength and is Absolutely Always FUNNY!!!!! 5.0 out of 5 starsExcellent Family Guy fun for fans of the genre. Fans of Family Guy will not be disappointed by the usual fare on offer. The voice talent and style of humour, along with a plethora of jokes and sight gags, makes this excellent value for money. My family and I watch these cartoons regularly. It makes a grand addition to the Family Guy Collection. 5.0 out of 5 starsBack on form? So far “almost” every episode has reminded me of early family guy where they were just made to give you a harmless and yes sometimes cheap laugh, hopefully they keep up the momentum. 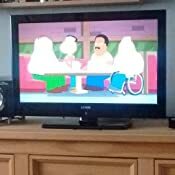 5.0 out of 5 starsBuy if not seen but you like family guy. Fast delivery, brand new & it’s so funny to watch even if you have seen it but if you haven’t then buy it.